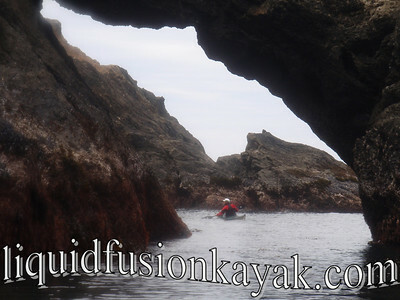 Glassy ocean conditions on Thursday enticed us explore the sea caves in Mendocino Bay in our sea kayaks. The predominant swell direction on the Mendocino Coast is northwest. 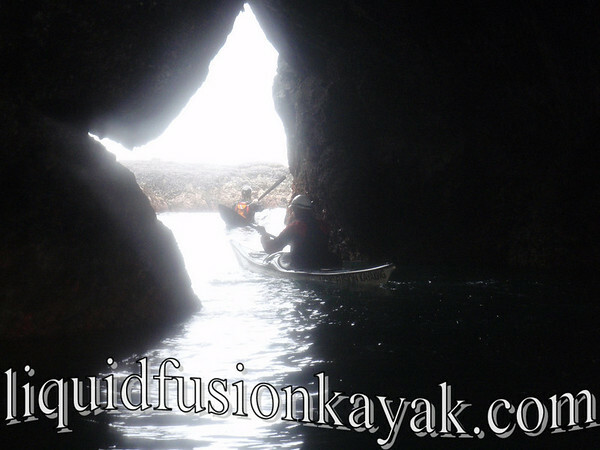 It creates many sea caves in our rugged coastline, but also makes many of them inaccessible to kayaking in all but the calmest conditions. Every now and then Poseidon smiles upon us and gives us that window to explore. 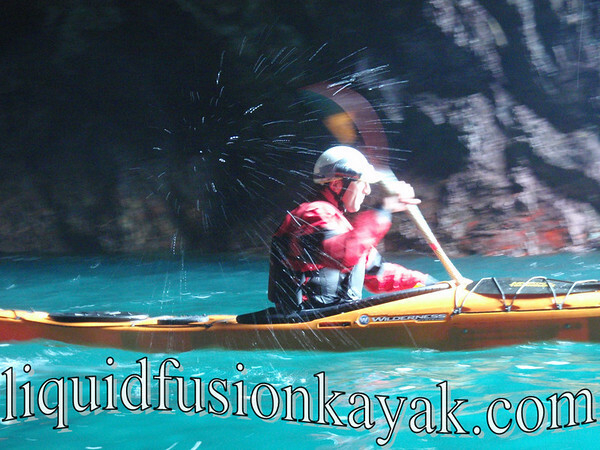 And smile we did in return as we sea kayaked into the Mendocino sea caves. A few nice sets rolled through and made for some fun surfing and rock gardening. 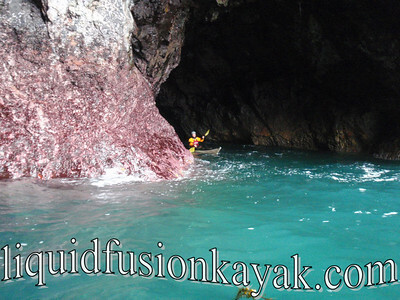 The tide conditions were perfect to stand up some green-faced waves at Smuggler's Gulch that were perfect for surfing our sea kayaks. A couple of abalone divers whistled as I took a right to carve across one of the first slow spilling waves of the day. This was not my best videoing day because I was having too much fun surfing to focus on setting up in the right location for the shot. Most of my shots were quick grabs of the camera as I was paddling back out to line up for the next set. Much to Jeff's chagrin, I continue to maintain my status as the wave magnet and had a couple of exciting pour-over and surge channel rock garden rides that were probably as entertaining to watch as they were to ride. One of our paddlers had a helmet cam and I will save my verdict on that until I see the footage. 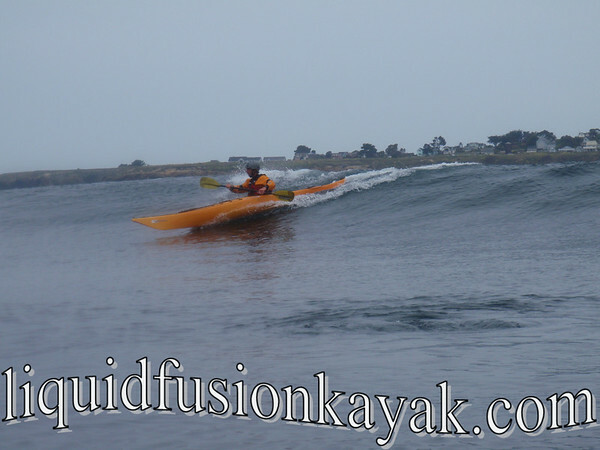 Wet & Wild - Mendocino Coast Kayaking ROCKS!! !